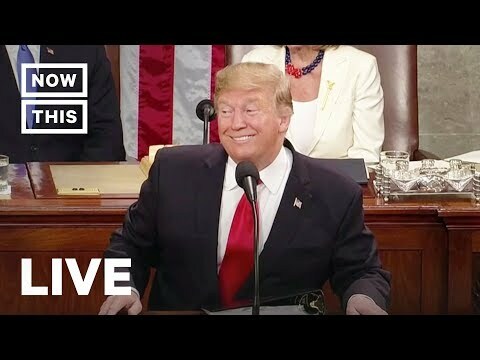 STATE OF THE UNION 2019: While President Donald Trump delivered his State of the Union address to the nation – we live fact-checked all of the claims he made. In case you were wondering, he averaged one false claim every 2 minutes. A President Donald Trump state of the union address wouldn't be complete without a Trump fact check. In the latest US news, President Trump delivered his 2nd state of the union address last night. It is custom for the White House leader to deliver an annual address to Congress and is one of the biggest politics news events of the year. Flanked by Nancy Pelosi over his left shoulder and Senators including Bernie Sanders in the crowd, Trump addressed a number of issues in his state of the union. Recently Trump has been working hard to get a border wall and more border security. As with any Donald Trump speech, there were a number of false claims and lies that needed a fact check.